Do you remember your favorite college professor? Was he a wizened bookworm who would quote endlessly from the classics? Was she a fiery idealist who pushed sleepy, complacent students to forge a moral identity? Was he a wacky physicist who could barely keep his shoes tied, but couldn’t care less? While the eccentricities of our faculty of Senior Instructors might also make for some interesting stories, they have between them the depth and wealth of knowledge of any top university when it comes to chi gung, tai chi, and ba gua. 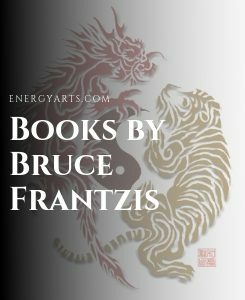 Of course, the dean of this university, Bruce Frantzis, is actively engaged in passing along his Taoist lineage, and in my opinion, the Senior Instructors play an important role as a gateway to the lineage. They all have at least a decade and a half of direct study with Bruce, most of them two decades, and a couple are pushing three decades of study with him. In academia this level of reflection and refinement puts them at the forefront of their fields. But you won’t find this group hunched over a table, squinting at a manuscript. Instead, they’ve invested countless hours practicing arts that helps them and their students stay vibrant, springy and youthful. 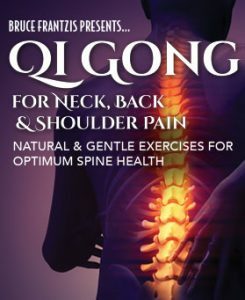 The more I study with our SI’s, the more I also appreciate something Bruce often says: “Chi gung is an art, not a science.” While you have to be a bit of a mad scientist to endlessly experiment with what these practices feel like in your body, the polished result of years of cultivation takes on the unique character of the practitioner. Two summers ago, at an Energy Gates training in California, we had a chance to see just how differently each one approached something as simple as basic leg alignments. Each SI was asked to tutor a new student on how to find alignments from the hips through the feet, on the spot and in front of all 80 of us. None of them flinched, and everybody came up with their own way to express the same thing. Now, I don’t know if they were trying to show off or compete with each other, but when they got up in front of the group they did two things: each one worked directly with the body in front of them and each expressed himself/herself in a language they had honed in their own bodies over the years. The teaching ran the gamut from jackhammer-style bounces through a well-aligned leg to more playful, light, do-what-I-do guided follow-along. At the end of the session though, each student “got it” and the rest of us saw how you can teach the “right thing” in your own way. For Instructor trainings, as with Gods last summer, the SI’s have assumed even more teaching responsibility. For many people traveling from all over the country and Europe, this is a rare opportunity to work closely with an experienced Instructor. In these trainings they not only have the job of making sure that every trainee understands what Bruce is teaching each day, but they also play the role of filling in missing pieces for the students that have less experience. This latter role is something they are able to do at several levels, from beginners all the way on up to folks who dedicate hours a day to their practice and have been doing so for years. I’ve seen them do this firsthand at Brookline Tai Chi as well. For a long time the school was anchored by its founder Bill Ryan with the support of Alan Dougall. While Alan can still be found marching students up and down through their Brush Knee paces, more recently Eric Peters and Craig Barnes have assumed regular roles as weekend workshop Instructors. Each time I study with these Senior Instructors, even if it’s the same topic, I come away with fresh insight. It is like being allowed to overhear scholars debate an ancient text. Each one comes away with a different insight, and the tradition stays alive through this interchange. In the spirit of this interchange, Brookline Tai Chi will be hosting Craig, Eric, and Alan teaching a collaborative tai chi immersion week in April. The training features opportunities to learn the Short Form, refine your Short Form, or refine your Long Form. 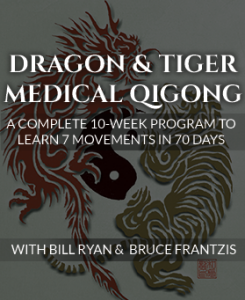 They will also co-teach a weekend on tai chi standing postures. You can get more information about these events through the BTC webpage, but to me, here’s what’s so exciting about this event: the more the Senior Instructors start teaching together, the more their work as individual practitioners and individual teachers is transformed into something whole and more accessible for all the people that they teach. 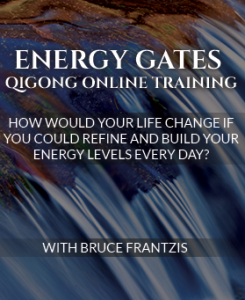 Shared insight and shared teaching will help prepare the most people for the Lineage’s teachings that Bruce is working so hard to pass along.